Soundproof windows are installed on the interior of the existing window and are intended to reduce exterior noise from entering the home. Essentially, the soundproof window is 2 sheets of glass with lamination in between. Once installed, the dead airspace between the original glass and the soundproof glass reduces the sound transfer. Depending on what you buy, noise can be reduced by as much as 95%. They do not change how the windows operates, opening and closing to allow in fresh air. Most are laminated, so they also block UV rays and can improve energy efficiency. Window glass is available in different thicknesses (0.25″, 0.50″ ans 0.75″), which will provide a slight noise reduction for the thicker glass. Manufacturers and window companies may push the thicker glass as a way to upsell, but the glass thickness is not the main sound reducer. Instead, it is the dead air space between the panes – 3″ between is an ideal spacing. Another way to soundproof your window is by putting a removable 2″ thick foam plug onto a box frame which then fits on the window sill. The box is placed in the window with the foam side facing outward. This cuts sound and sunlight, which is great for nights but not during the days. The cost of soundproof windows will vary depending on where you buy them from, the size you select, and whether you install them yourself or not. If you go to a local home improvement store, you can purchase the glass and laminate needed to soundproof and do it yourself for $75 to $600. Professional window installation yourself, you’ll have to add in the cost of installation. Purchasing name-brand products can run you as much as $400 – $900 each. The biggest and most obvious advantage is that they reduce the amount of noise that enters the dwelling, sometimes as much as 95%. In addition to noise reduction, they also can reduce BTU loss by as much as 50% over double-panes or over 75% over single-panes. The laminated material can also reduce the entrance of harmful UV rays from the sun by around 99%. The added airspace also provides an insulative value. As an added bonus, soundproof windows are easy to install, requiring no replacement or removal of an existing window. There really aren’t many disadvantages to installing them, except for the added cost. If you don’t need the noise reduction, then there is really no reason for them. They do open and close like normal windows, but the laminated glass does take something away from the aesthetics (at least according to lots of homeowners). These are placed on the interior of an existing windows to provide superior soundproofing, as well as insulation. 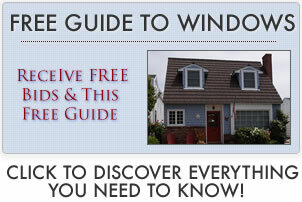 They operate along with your existing windows and are relatively easy to install. 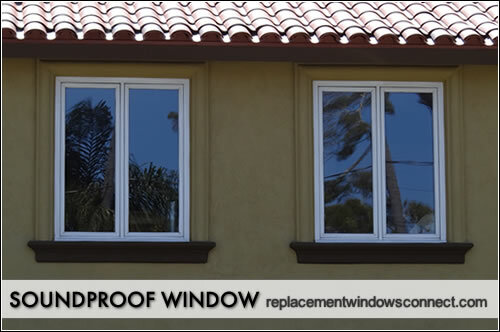 They are available in a variety of color options, allowing homeowners to change the interior look of their windows. More on what soundproof windows cost. The company’s Quiet Line™ windows can reduce noise by around 30%. In addition to noise reduction, they also enhance energy efficiency and provide weather protection. They are made of vinyl, come in a wide selection of custom sizes and carry a full lifetime warranty. These offer a reduction of noise, drafts and dirt by as much as 99%. They also offer thermal, humidity and moisture control and come with a 100% satisfaction guarantee.